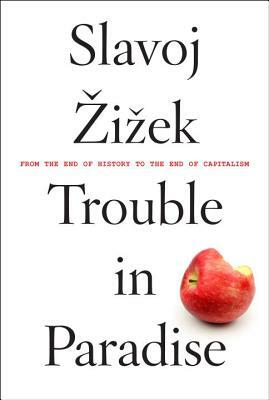 In Trouble in Paradise, Slavoj iek, one of our most famous, most combative philosophers, explains how we can find a way out of the crisis of capitalism. Setting out to diagnose the condition of global capitalism, the ideological constraints we are faced with in our daily lives, and the bleak future promised by this system, Slavoj iek explores the possibilities—and the traps—of new emancipatory struggles. SLAVOJ IEK is a Slovenian philosopher and cultural critic. He is a professor at the European Graduate School, International Director of the Birkbeck Institute for the Humanities, Birkbeck College, University of London, and a senior researcher at the Institute of Sociology, University of Ljubljana, Slovenia. His books include Living in the End Times; First as Tragedy, Then as Farce; In Defense of Lost Causes; Event; and many more.